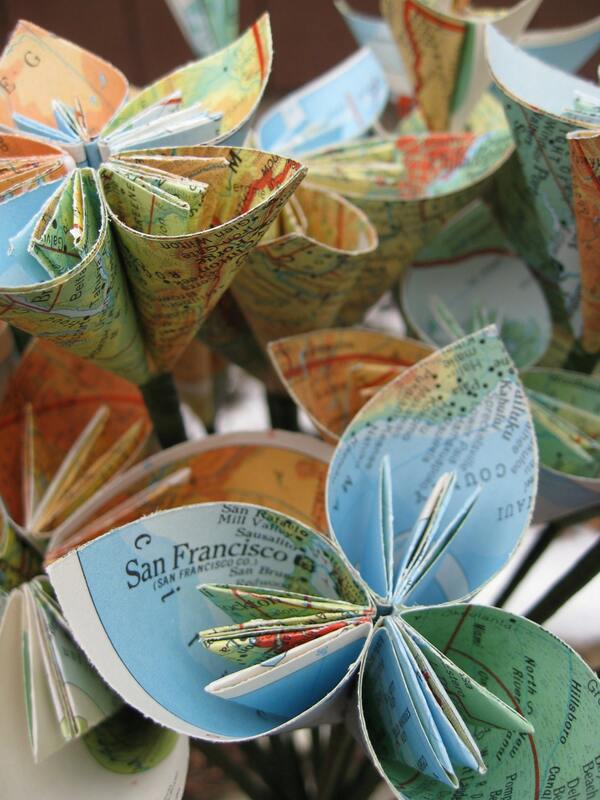 Vintage Map Paper Flower Bouquet, United States Map. CUSTOM ORDERS WELCOME. 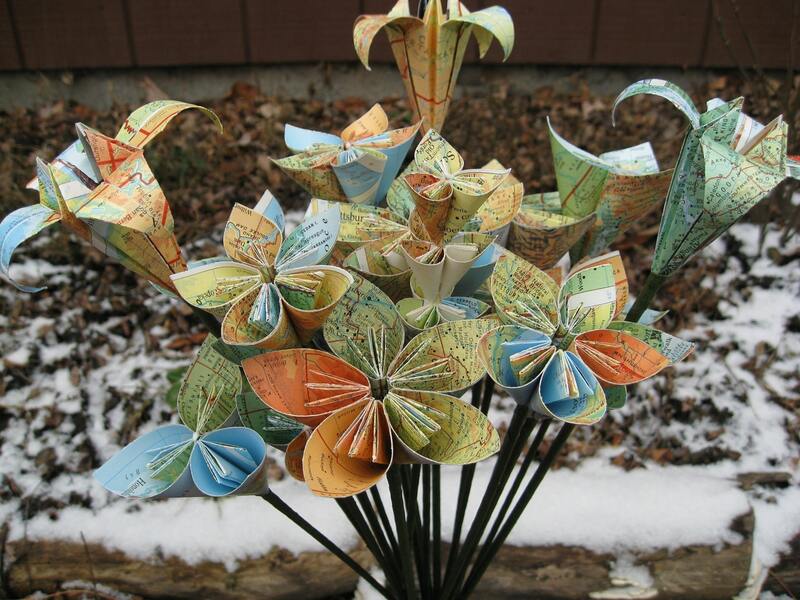 This paper flower bouquet is made from pages of a vintage atlas. Very beautiful and colorful, each flower shows popular and interesting places all over the United States. 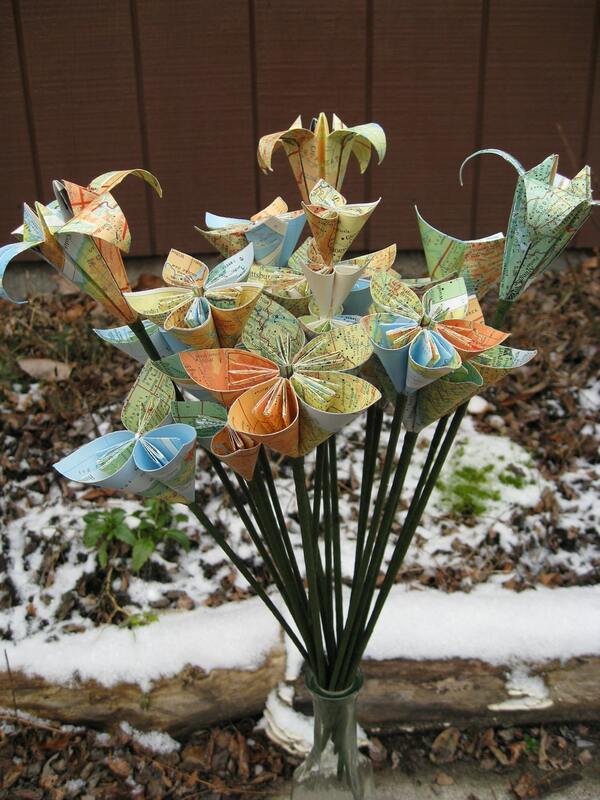 There are 19 stems of flowers in this bouquet, including lilies and kusudama flowers. Each stem is wrapped in green stem wrap. If you would like a special order, just convo me and I would be happy to make you something! 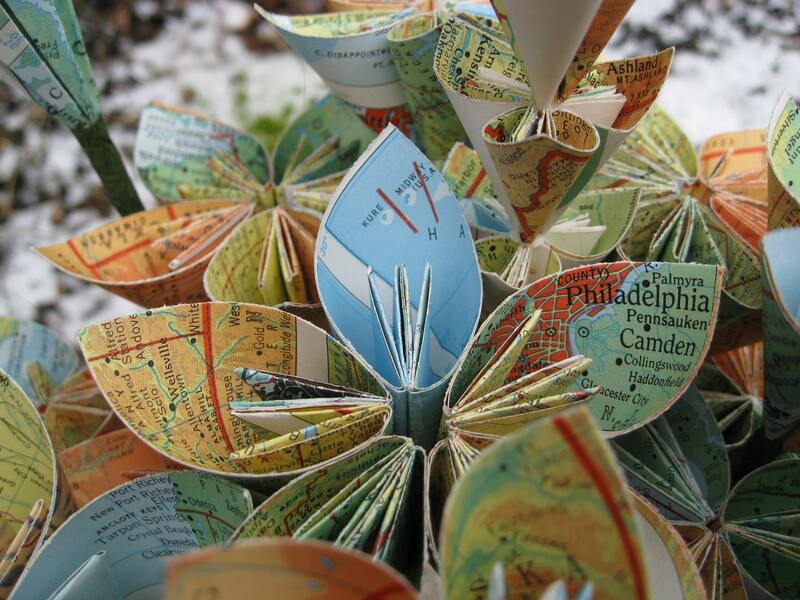 If you would like a "world map" bouquet, instead of just the USA, let me know at checkout and I will send you the appropriate bouquet. 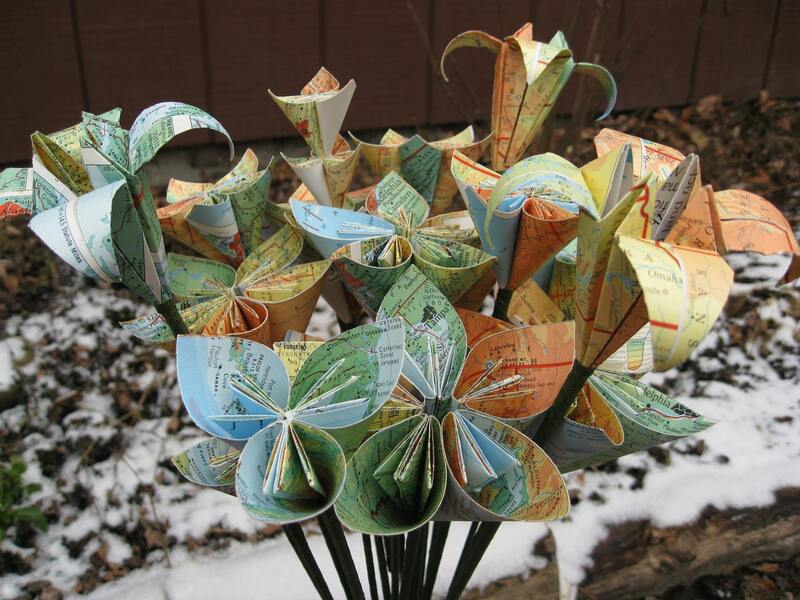 Or if you would like a bouquet made from a certain region of the world.